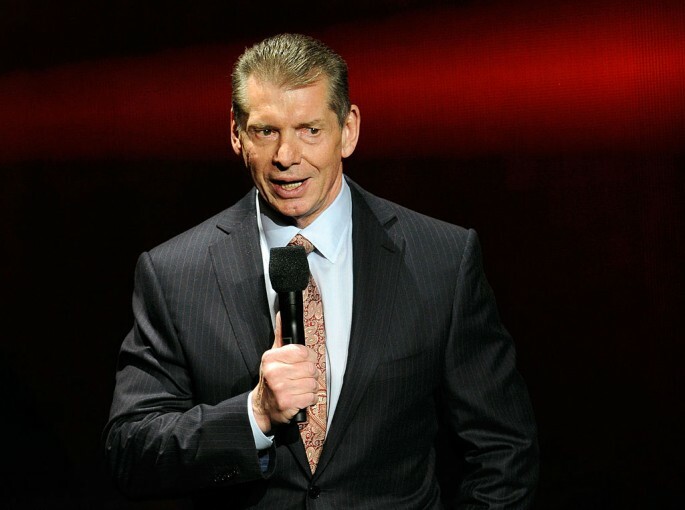 WWE CEO Vince McMahon is getting his own biopic, titled "Pandemonium," and the film is on the lookout for the actor to portray McMahon. Glenn Ficarra and John Reque, who worked on "Crazy, Stupid, Love," will helm the film based on a script written by Craig A. Williams, The Hollywood Reporter reported. "American Sniper" producer Andrew Lazar and WWE Studios president Michael Luisi are producing. According to Deadline, "Pandemonium" tells the story of McMahon's rise in the wrestling business. The concept of the WWE was first conceived by his grandfather, Jess McMahon, and later taken over by his father, Vincent McMahon, until it was passed to him. However, his predecessors' vision of the business was more local and small scale compared to what the third generation McMahon had in mind. Here are our top five picks to play Vince McMahon in "Pandemonium." Roberts comes off with having a fine mix of charisma and arrogance that would make him properly portray McMahon. He also resembles McMahon a bit, making him the best choice to play the role. Brolin can command the room the same way McMahon can command the WWE. Physically, he is the best fit to play McMahon. The actor also has solid acting chops, having appeared in "Sicario" and "Men In Back 3." Although quite younger than McMahon, Vaughn is another good candidate to play the WWE head honcho. Vaughn has proven that he is a versatile character who can expertly deliver both comedic and serious roles. Based on his performance in "Hacksaw Ridge," Vaughn can definitely pull off the hilarious fits of rage McMahon often puts on on the WWE. Despite being over 70 years old, McMahon is still in incredible shape, and John Cena fits this description like a globe. Cena has been in the wrestling business for over 15 years, which gives him an advantage in terms of his know-how about the world of WWE. Another plus is that he knows McMahon personally. Cooper is another charming actor that can bring to life the story of McMahon's rise up the business ranks. Cooper is another versatile actor who can definitely pull off a variety of roles, especially a complex and colorful personality such as McMahon. How will ‘Agents of S.H.I.E.L.D.’ affect ‘Marvel’s Inhuman’? New ‘Transformers: The Last Knight’ introduces new characters; Is Optimus Prime the new villain?